If you don't see the colour you need, please contact us. Rainbow of Colours. Belts for jeans. Hand dyed coloured leather belts are all interchangeable with quality snaps. 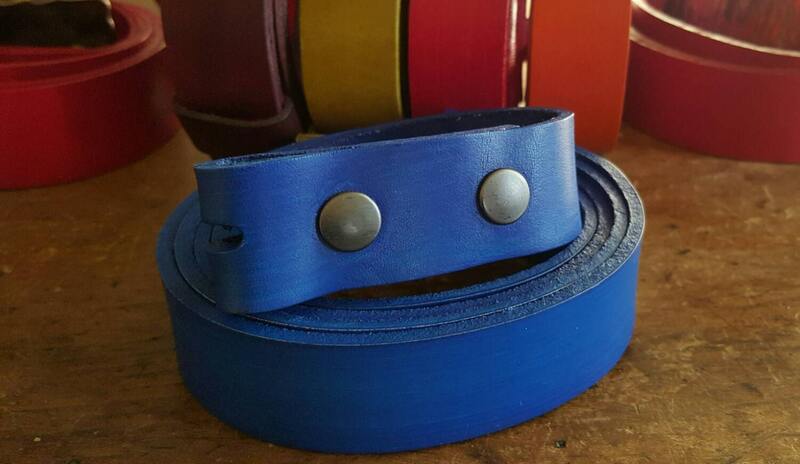 1-1/2" or 1-1/4" hand dyed coloured leather belts with snaps make changing buckles a breeze. Belts are custom cut for jeans or casual wear. Canadian leather belts 1.5" wide for men, ladies & kids. Belts in 1-1/4" wide also available. 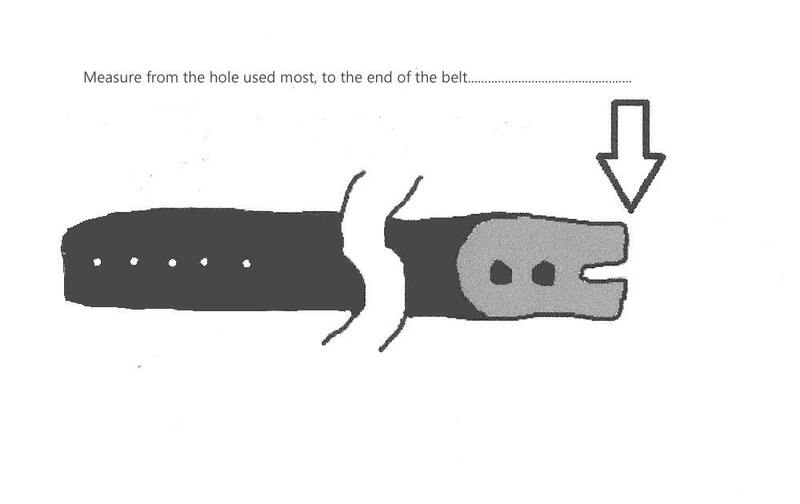 If you prefer, measure your existing belt, please use the "how to" sketch. Great Belt. Amazing quality! Thank you!